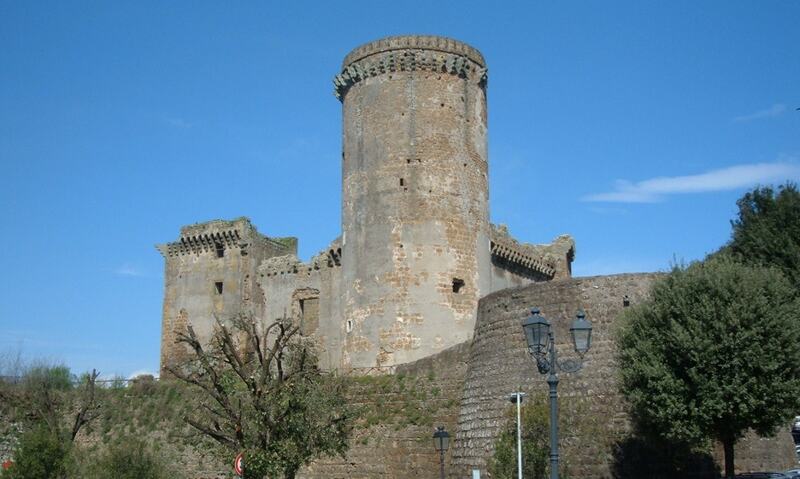 The Castello Borgia is a 16th-century castle in Nepi, in province of Viterbo, originally refurbished for Lucrezia Borgia. The castle features a large square piazza surrounded by walls on all sides and circular towers at each corner. It was damaged by the French in 1798 and left in a state of disrepair.